Leaves and other yard debris can lead to thatch build up if not removed. 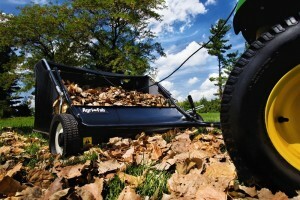 So a lawn sweeper is a must have since raking leaves can be a big job in a fall season. The lawn sweeper is a fun device that speeds up yard work and cuts down on the monotony of raking. Now keep your lawn tidy with less time and effort using a lawn sweeper. Want a earth-friendly, effective and fun way to keep your lawn tidy? 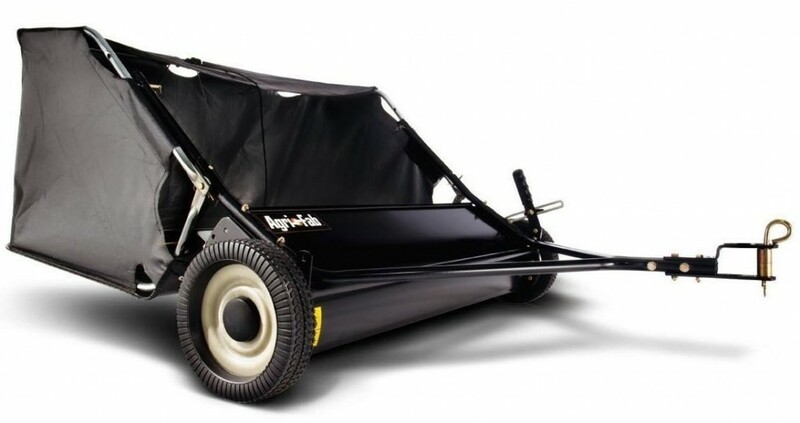 The Agri-Fab 45-0218 26-Inch Push Lawn Sweeper is the one you will like. This push lawn sweeper with adjustable height settings is the easy way to pick up lawn clippings and leaves off lawn. Made with sturdy lasting parts, this Sweeper is built to last. With the lightweight design, you can do the clean up job quickly and better than a rake. Best of all, it folds up to fit comfortably in your garage for easy storage. Make your yard cleanup easier than ever with the Agri-Fab 45-0492 Lawn Sweeper. This lawn sweeper features pull button brush height adjustment lever with easy to use indicator to provide optimum height for best performance. The sweeper tongue can be offset to cut and sweep in one pass with no tool required. Additionally, the sweeper can be folded up and collapsed without tools for easy and compact storage. 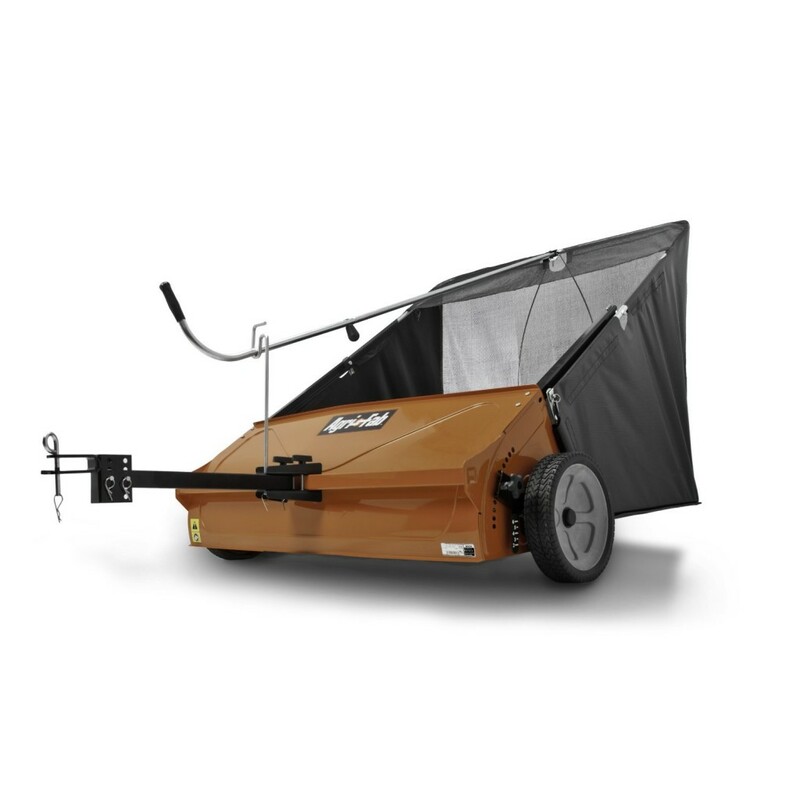 Clean up leaves and other yard debris which can lead to thatch build up if not removed with the Brinly STS-42LXH 20 Cubic Feet Tow Behind Lawn Sweeper. 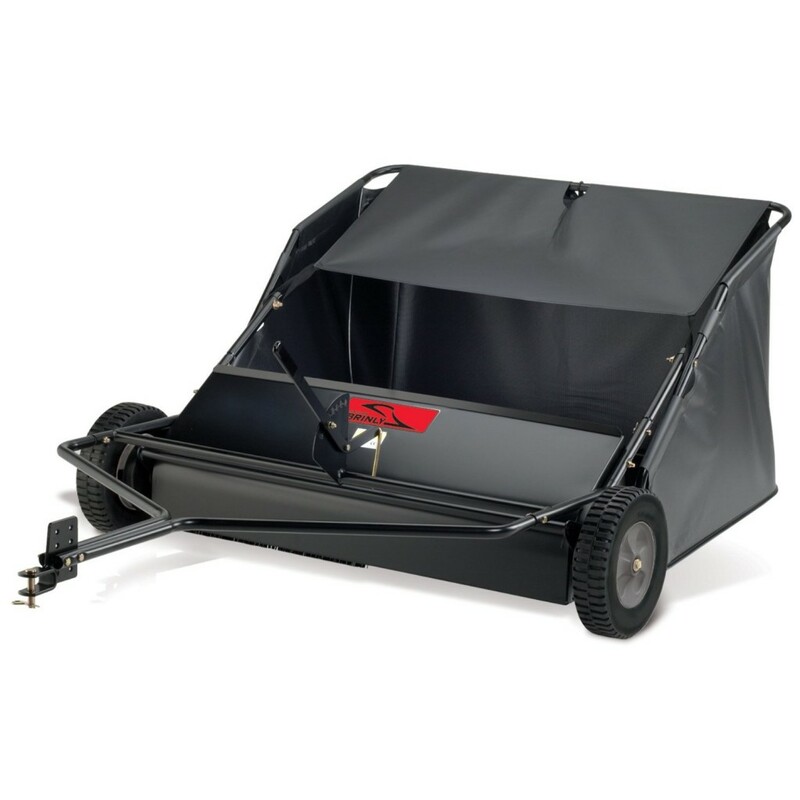 Featuring large 42 inch working width and 20 cubic foot hamper, this sweeper helps get your fall yard clean up done quickly and easily. You will love its patented storage design which provides simple and convenient storage. Perfect for sweeping up leaves, pine needles, grass clippings and more. Make picking up leaves, grass clippings, and other lawn debris a breeze with the Agri-Fab 45-0331 38-Inch Tow Lawn Sweeper. 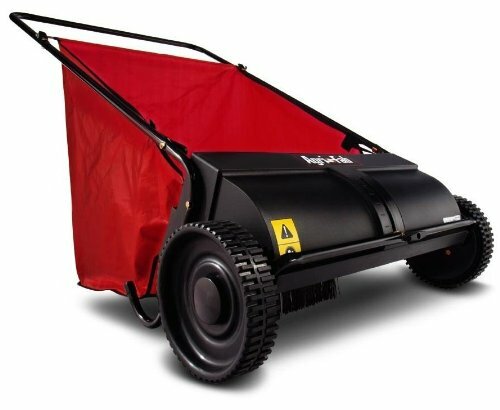 This sweeper includes 4-to-10-inch diameter replaceable brushes and 10-by-1-3/4-inch semi-pneumatic tires. Its unique design makes dumping easy. It also comes with a rip-stop vinyl hopper bag that holds up to 12-cubic-feet of debris. Measures 72-by-45-by-23-inches. Easy to use and does a good job, the Agri-Fab 45-0320 42-Inch Tow Lawn Sweeper is great time and effort savor. Great for cleaning up a large yard or field after pruning, mowing, weeding, or aerating, this lawn sweeper brushes up leaves, grass, and even fine straw into a spacious hopper in 42-inch wide swathes. It comes with an upright handle for users to dump contents from the tractor seat. The durable, lightweight poly construction allows you to finish your tasks easily. Also include a hitch pin for quick tractor hook-up.